Penn High School will once again host the FIRST Robotics St. Joseph District Event on Saturday, March 9 and Sunday, March 10. Plan on coming out and enjoying the excitement of more than 40 high school FRC robotics teams from Indiana and Michigan battling it out on a basketball court-sized field with four-foot tall, 120-pound robots! Join more than 5,000 students, coaches, mentors, parents and fans during this one-of-a-kind two-day event! WATCH THE VIDEO BELOW to get a taste of all the excitement! 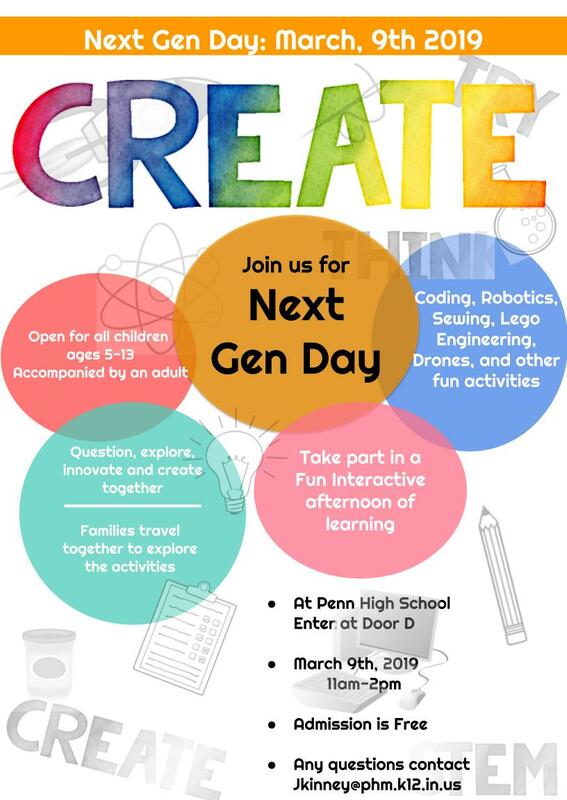 Cheer on Penn’s Team 135 and make sure to bring your Robotics fans to enjoy Next Gen, an area for students ages K-8, who can get hands-on engaging fun with some of Team 135’s other robots. Next Gen will be open Saturday from 11:00 a.m. – 2:00 p.m. The entire event is FREE ADMISSION!